If health is wealth, America is going bankrupt. According to the Centers for Disease Control and Prevention, more than one-third of adults and one sixth of children in America are obese.1 In the past twenty years, obesity rates doubled for adults and tripled for children. If these trends continue, by the time today’s children reach adulthood, obesity will be the norm and healthy weight the exception. Of course, the rates of other chronic health conditions such as cancer, heart disease, diabetes, and high blood pressure are staggering as well. In 2004-2005, 60% of all Americans had at least one chronic health condition, 26% suffered from two or more chronic health conditions, and after age 55, those percentages rose to 78% and 47% respectively.6 All of these conditions - as well as stroke, depression, arthritis, and a host of others - are complications of obesity.7 In other words, if you are overweight, you have an increased likelihood of also developing other chronic health problems. In the United States today, 7 out of every 10 deaths are attributed to chronic disease. The World Health Organization estimates that by the year 2020, the rest of the world will have caught up with this number.8 For generations, America has been a world leader in the areas of technology, medical and scientific research, and higher education. But as we were spending billions of dollars and millions of man-hours solving the crises of infectious diseases around the world, a more silent, and more deadly, crisis grew in our own homes. And because of our influence, we are now leading the world towards a precipice of chronic disease. So why is it that when people from other countries move to America, or when American influence overtakes traditional cultures, the result, inevitably, is ill-health? The answer is simple: food. Americans treat food as a source of immediate gratification. We want it tasty, we want it cheap and we want it now. To meet this demand, American manufacturers pump their food full of sugar, salt, hydrogenated oils, saturated fats, preservatives, dyes, artificial flavors, and a host of bizarre, unpronounceable chemicals that, if you saw them in their pre-processed state, you would never consider putting in your mouth. Our food is almost unrecognizable as food. These additives and preservatives often replace all the nutrients and fiber that is removed from the original food source. So while processed food might taste good, it essentially lacks all the beneficial nutrients needed to nourish the body, maintain blood sugar levels, and ensure proper digestion. In addition, the chemicals and synthetic ingredients found in many processed foods are foreign to the body. The body stores anything that the digestive organs can’t process, most often in fat tissue.9 Scientists have considered that this process may also contribute to the development of obesity. Calories that have no nutritional value - such as those found in sugary soda and many fried foods - are called “empty calories.” Empty calorie foods are quickly broken down, causing blood sugar levels to spike. As a result, the body secretes insulin which leads to hunger signals, so you eat more at your next meal. Researchers suggest that these types of foods - highly refined, processed, and starchy - may be a contributing factor to our obesity epidemic. Another factor in gaining or losing weight is the quality of the food you eat rather than how much you consume. According to a June 23, 2011 report published in the New England Journal of Medicine, participants gained weight with the intake of potato chips, potatoes, sweetened beverages, unprocessed red meats and processed meats. They lost weight with the intake of vegetables, whole grains, fruits, nuts, and yogurt.10 It's another nail in the coffin of fast foods. Fast-food joints have not only come to dominate the American landscape, they are also the most visible American export around the globe. Unfortunately, fast food contains almost no nutrients and is loaded with added salt, sugar, refined flours, fat, and preservatives. The irony is that for every dollar we spend on fast food, and every second we save at a drive-through, over a lifetime we put ourselves at serious risk. These risks include huge, direct medical costs and the indirect impact of productivity losses due to illness and premature death associated with diet-related illnesses linked to a meat-based diet that includes highly processed foods laden with fats and artificial ingredients. Protect your health and the health of your family by choosing organically grown produce, and products made with organic ingredients, as often as possible. Organic food is grown without using most conventional pesticides, synthetic fertilizers or sewage sludge. Ionizing radiation and genetically modified organisms (GMOs) are also not found in organic foods. At the very least, seek out organic alternatives to the fruits and vegetables that are mostly heavily treated with pesticides. For a good source of information on which foods to always buy organic, see “the dirty dozen.” The next step is to choose prepared foods that are free of artificial sweeteners, flavors, additives, colorings, and have minimal preservatives. When it comes to ingredient labels, a simple rule of thumb is that if you cannot pronounce it or have only seen it in chemistry class, don't eat it! The work of Dr. Dean Ornish and Hawaii’s own Dr. Terry Shintani reveals a startling and encouraging conclusion: obesity is not a result of eating too much food. Rather, obesity and other chronic health conditions result from eating too little real food.12, 13 Real food means whole grains and unprocessed vegetables, fruits, legumes, nuts and seeds. These foods are nutrient-dense, packed with vitamins, minerals, enzymes, and fiber. Real food or whole food requires more time to digest, so your stomach stays full, and you feel satisfied longer. Thus, you eat less at your next meal. As a bonus, whole, plant-based foods are naturally aromatic and uniquely tasty, so they fill you up and satisfy you without added artificial ingredients. The studies conducted by Dr. Ornish and Dr. Shintani demonstrate that the most important tool for success in any diet is not restricting calories, but choosing those calories wisely. In his book “Eat More, Weigh Less,” Dr. Ornish explains that a person can eat high-fiber, low-fat foods until they feel full without fear of gaining weight. In fact, this diet, coupled with a moderate exercise regimen, may help a person lose weight without ever having to go hungry. Both Dr. Ornish and Dr. Shintani recommend a wholesome plant-based diet comprised primarily of fruits, vegetables, whole grains and legumes. These days, it’s not unusual to see lists of ingredients that are longer than the ad copy. Even a simple loaf of bread is loaded with sugar, packed with preservatives, and masked with flavorings produced in a laboratory. It would take an investigative journalist to uncover the origins of most of these chemicals disguised as food. These artificial ingredients and preservatives allow food manufacturers to lower their costs and provide food with traits they would not have naturally. Artificial ingredients and preservatives may enhance color, extend shelf life, make foods faster or easier to process at the manufacturing stage or make them quicker to prepare at home. However, these chemicals can accumulate in our bodies over time, adversely affecting our health. The reality is that no one saves time or money by buying fast- or highly processed food that undermines their health. Instead, they increase the likelihood that they will have to pay later for expensive health care as the effects of these "food additives" and fast foods take their toll on the body14. By adopting a healthy lifestyle based on organic and natural foods and a vegetarian diet, coupled with regular exercising, you make an investment that will pay healthy dividends for the rest of your life. Kaplan, M.S., Huguet, N., Newsom, J.T., McFarland, B.H. (2004). The association between length of residence and obesity among Hispanic immigrant. Am J Prev Med, 27(4). Machlin, S., Cohen, J. and Beauregard, K. (2008). Health Care Expenses for Adults with Chronic Conditions, 2005. Statistical Brief #203. Agency for Healthcare Research and Quality, Rockville, MD. Shintani, T. (1993). Dr. Shintani’s Eat More, Weigh Less Diet. Honolulu, Hawaii: Halpax Pub. National Center for Biotechnology Information (2011). Factors Affecting Health Status. Retrieved from http://www.ncbi.nlm.nih.gov/books/NBK52806/. The plump, reddish cheeks and fat fingers of babies and toddlers are sure to charm anyone. Certainly, nobody wants to have a bony baby. 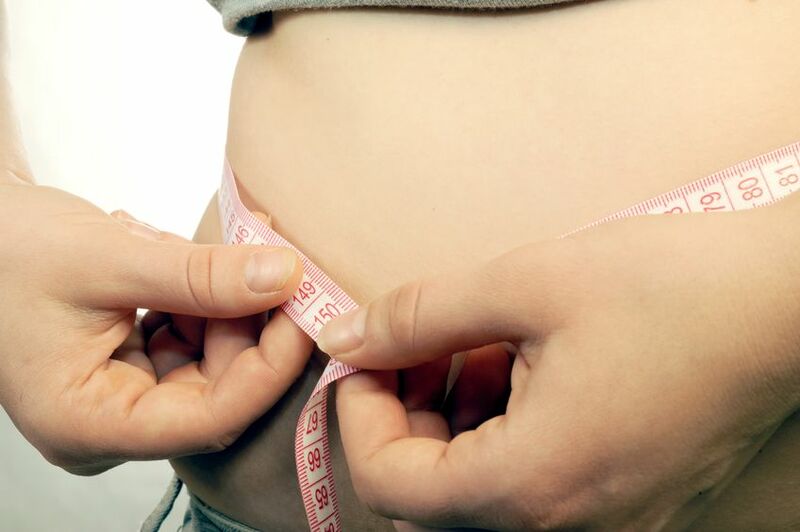 At a child's baby stage, plump is not uncommon, but when a child adds more weight than is proportionate to his height, it may be time to worry about obesity. After all, not all kids lose their "baby fat" automatically.